Asian stocks are following Wall Street’s drop. 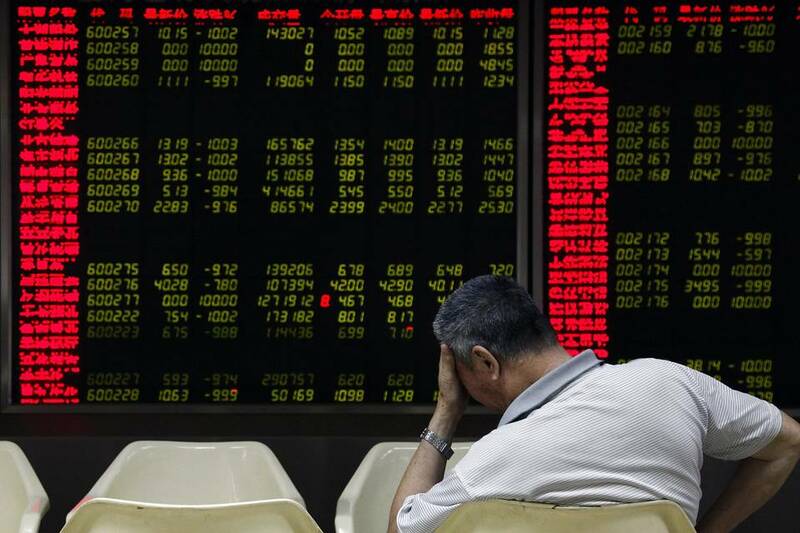 Japan’s Nikkei plummeted as much as 4% Thursday morning, while the Hang Seng in Hong Kong fell as much as 2.1%. The declines came after a rough day of trading in U.S. markets Wednesday that brought the Dow, S&P 500 and Nasdaq into correction territory, meaning they have tumbled 10% or more from their recent peaks. Experts say stocks are coming under pressure from slumping oil prices and uncertainty over China’s slowing economy and its weakening currency. Chinese stocks on Thursday flirted with the lows of last summer’s market crash, with the Shanghai Composite sinking as much as 2.8%. The index has lost around 18% since the start of this year. For years, China’s booming economy was a key engine for global growth, but now its slowdown is rippling out through global commodity markets. Oil prices fell under $30 a barrel Tuesday for the first time in 12 years. Oil has since clawed back some ground to trade closer to $30.50. Energy firms’ shares have taken a hit, with Freeport-McMoRan (FCX) and Marathon Oil (MRO)among the worst performing stocks in the U.S. on Wednesday. Freeport nosedived 9% and Marathon plunged 7%. Recent downward moves in China’s currency, the yuan, against the dollar have also unsettled investors. Trading has been more stable this week. But analysts have been left guessing over how much lower it might go and the amount of foreign reserves China could burn through in efforts to moderate the currency’s decline. “The biggest concern that we have coming into the next year is what China is doing with their currency,” said Art Hogan, chief market strategist at Wunderlich Securities.